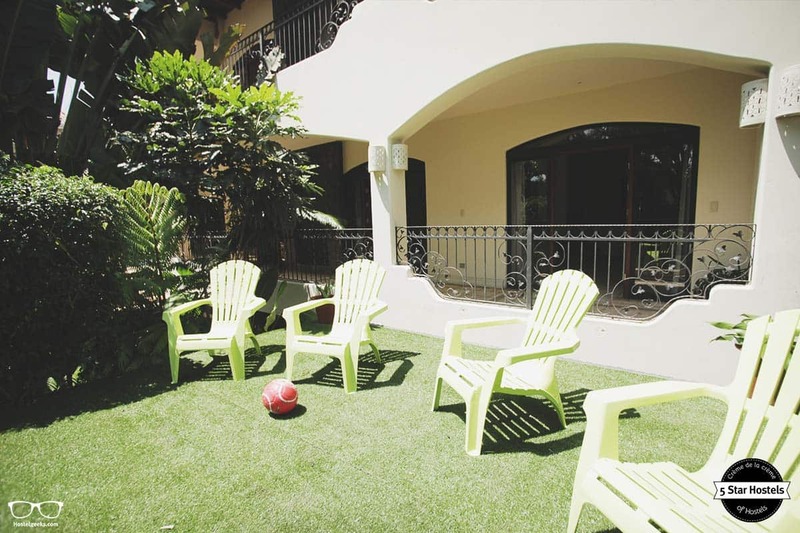 If you really want to get in touch with the San José carefree spirit, there’s no better place to soak in the Pura vida than at the Fauna Luxury Hostel. Located in the nearby town of Escazú that lies on the slopes of the mountain range of the same name. (And we really do mean nearby - it’s just 9 kilometers away from the bustle of the capital) - a visit by Hostelgeeks. How to book Fauna Luxury Hostel? 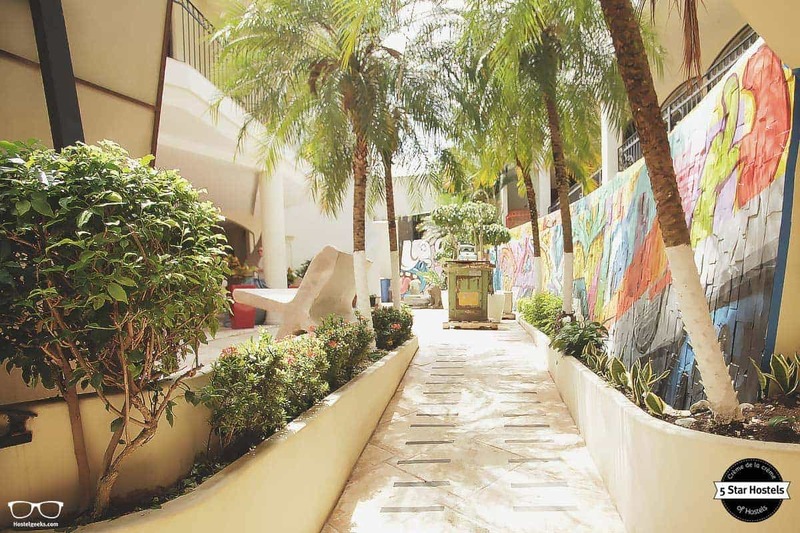 You just found our #1 recommendation for best hostels in . Genuinely, Fauna Luxury Hostel is the accommodation we recommend to our friends, family, and to you! You will like it! 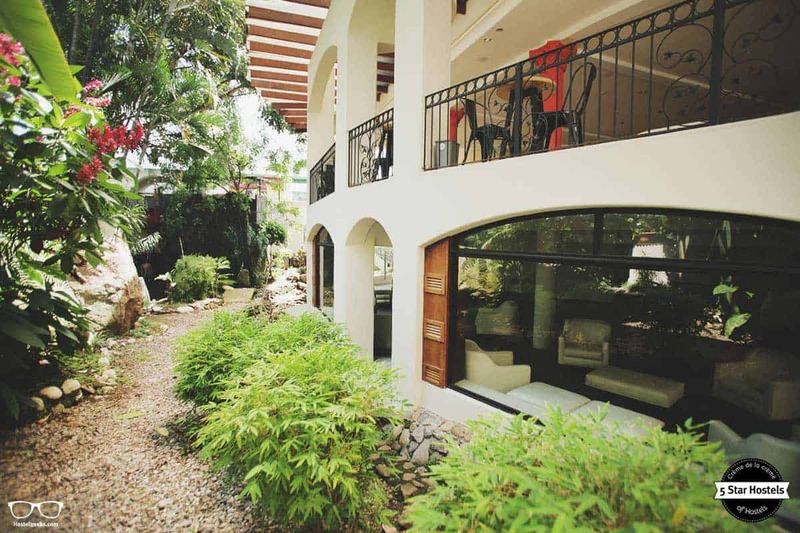 Planning to stay at Fauna Luxury Hostel? Please use the links provided above. Fauna Luxury Hostel is located in the heart of Escazu , a small city just 10 minutes away from the San José with a reputation for being chic and happening. It's tucked right in between mountains and volcanoes, meaning you get plenty of deep green scenery to enjoy. 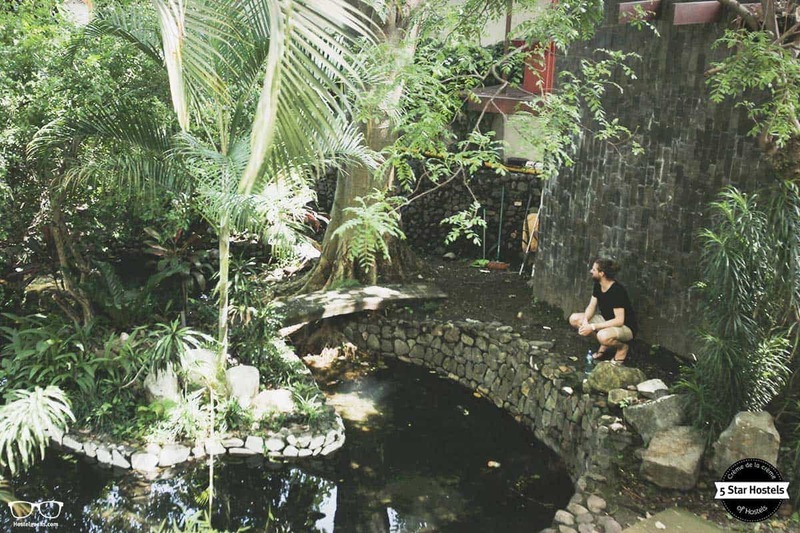 The hostel's location is a great jumping-off point to explore, whether you want to see the charming colonial architecture or head off to scale a mountain or simply check out the local vibe. You're also conveniently located next to plenty of shops, bars, and restaurants, and it's a nice (and safe!) area to walk around day or night. It's the ideal balance between feeling the natural vibes and being near the attractions you'll want to see. 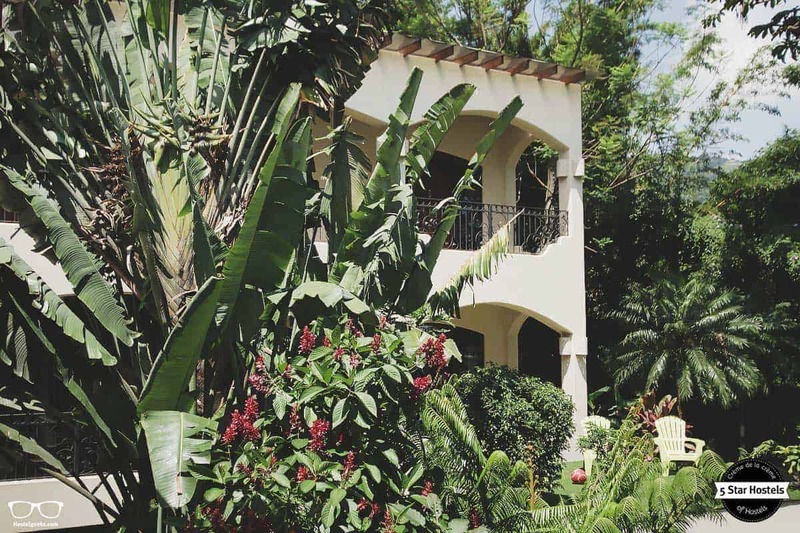 San José may be a far cry from the lush scenery that lures many travelers to Costa Rica to explore the leafy green jungles and sweeping beaches. But you’ll still get a big dose of the laid-back lifestyle in the capital city, though you’ll find it in a different way at Fauna Luxury Hostel. We are Hostelgeeks, your shortcut to the most amazing hostels in the world, the 5 Star Hostels. 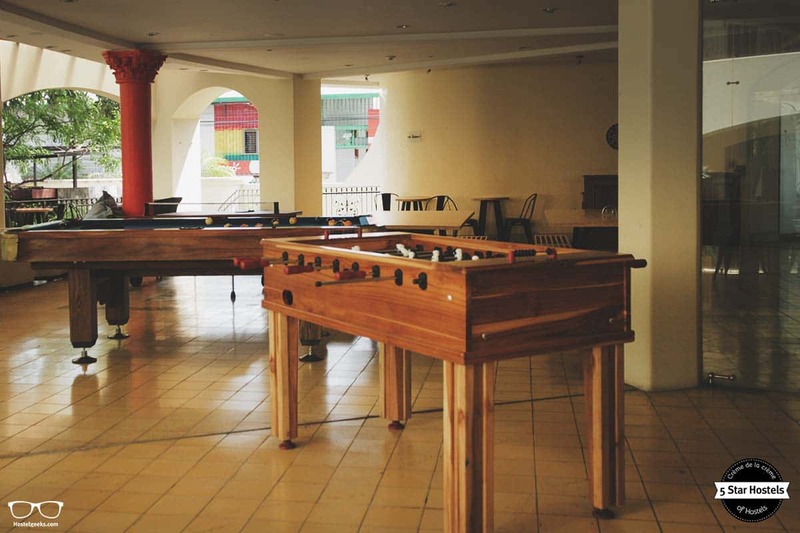 We do all the leg work for you and handpick the coolest hostels around. 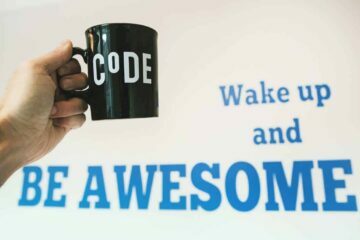 Therefore, check out Hostelgeeks before your travels. and no end of world-class places to eat, drink, and be merry. Of course, being nestled in a ring of mountains and volcanoes that provide a dramatic backdrop to the cityscapes doesn’t hurt either. Hobu Hostel, one of the best hostels in Bogotà, Colombia. 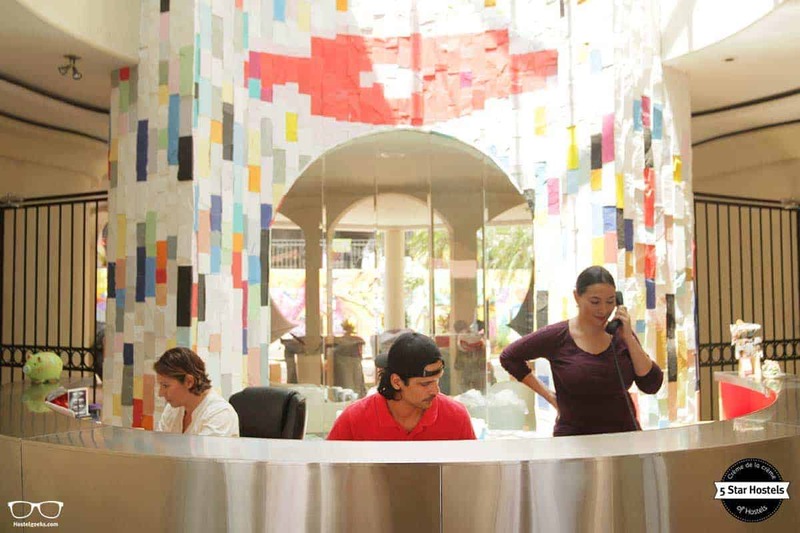 Find all 5 Star Hostels in South and Central America and the best hostels in Cartagena, Colombia. 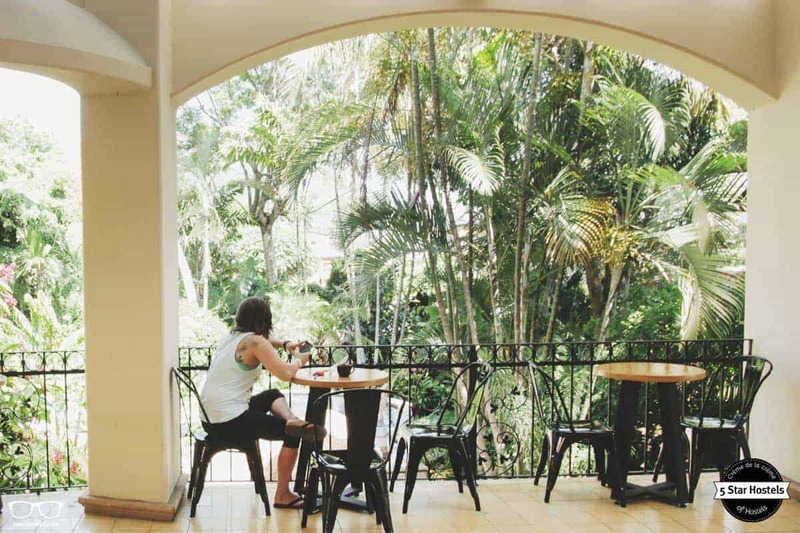 Fauna Luxury Hostel embodies all the good vibes you could ever want, and do an awesome job of providing travelers with a quality experience that’s also totally local. 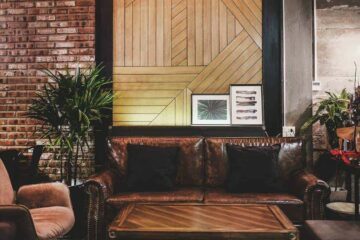 Sustainability doesn’t mean compromising on either style or comfort at Fauna Luxury Hostel; actually, it means more of both! 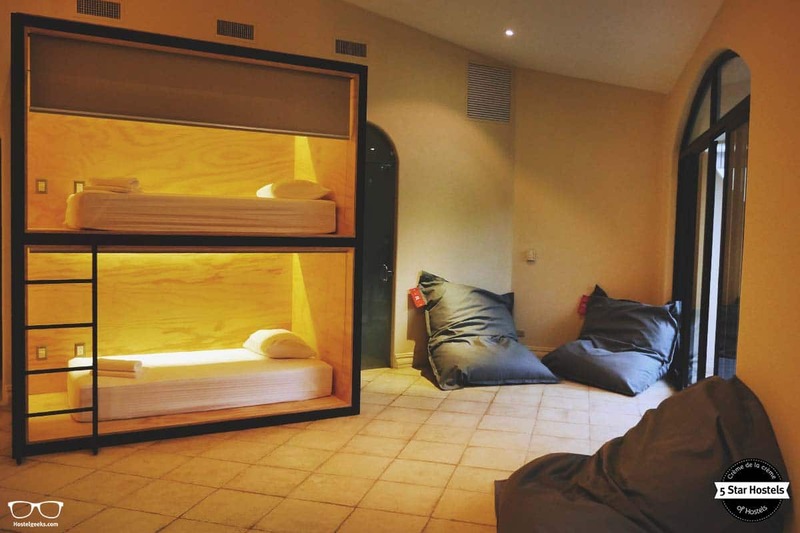 This hostel has a strong focus on making sure they’re kind to the planet. That means things like washing all their bedding (meaning sheets, towels, pillows, and even mattresses) are taken to a special center where they’re expertly cleaned using rain water and biodegradable detergents. Each guest gets a sealed bag with their freshly-washed sheets in when they arrive. Ahh, there’s nothing better than sleeping on clean sheets! Speaking of sheets, all of theirs are 100% cotton. The hostel also runs a recycling program with the local government that separates out the plastic, aluminum, glass, and paper. On top of that, all the products in the bathrooms are eco-friendly, and there are plans to install solar panels on their roof. And one more eco-friendly touch – the food! The hostel makes homemade shakes and fruit platters with the freshest stuff straight from their local farmers. Sustainability never tasted so good! Did you know that San José is called “Chepe” by locals? That’s because it’s a nickname for people called José. You’re one step closer to going local already! Anyway, one of the things about San José that many visitors seek out is the intricate colonial architecture. And you can find a dose of it at Fauna, as it’s in the middle of an old colonial part of Escazú. 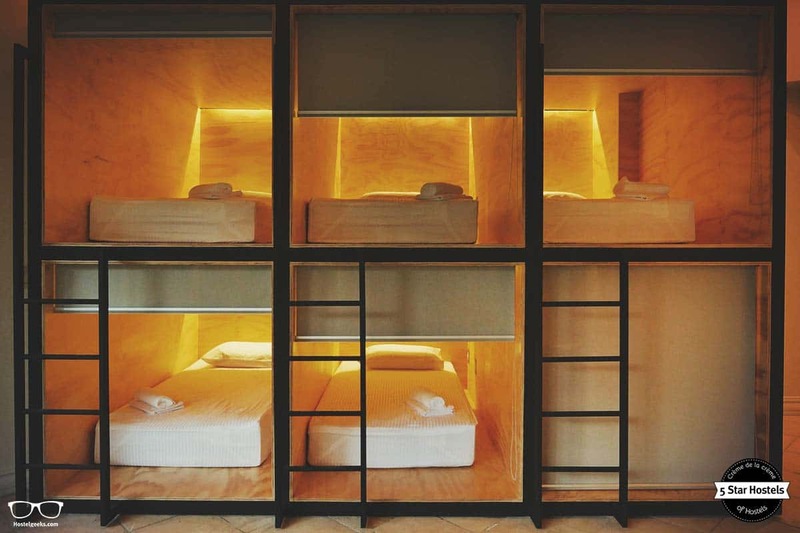 They’ve come up with a clever mix of a colonial design boutique hotel combined with the sleek minimalism of modern Asian architecture. The blend feels both cozy and contemporary, and also totally Costa Rican. 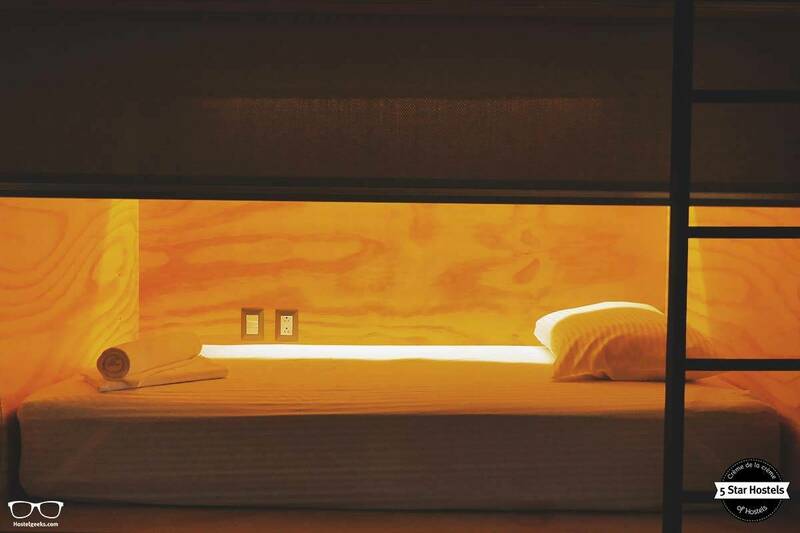 The rooms are designed with a clean style, and each bed is housed in a pod with curtains and individual lights and outlets, meaning you can enjoy your privacy while you snooze. 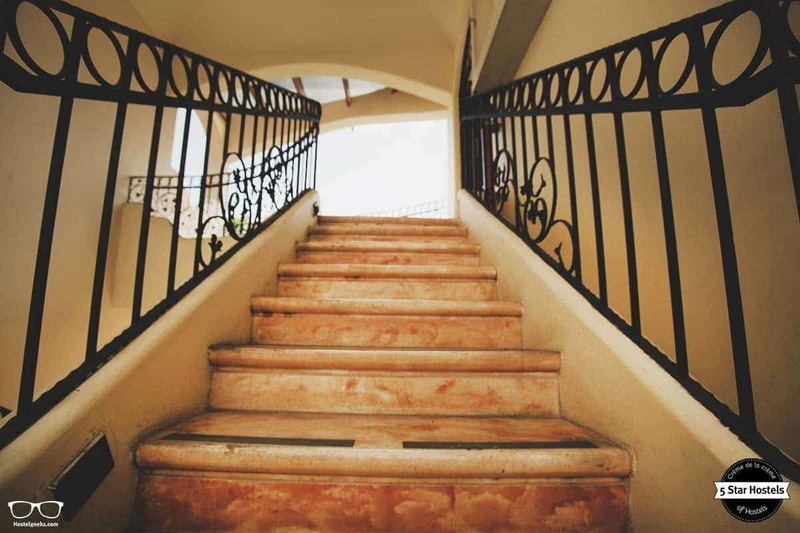 Don’t forget to gaze out over the gardens from one of the pretty balconies the building has, or to enjoy relaxing by the swimming pool and Jacuzzi. And you have to make a trip to the rooftop terrace with its 360º view and barbecue area. Yep, that’s located on the rooftop too. Fauna Luxury Hostel’s current in-house artist is the one who completed the Mickey paintings in the hostel. Actually, the whole hostel has a strong connection to local artists and the local art scene. They’ve brought in talent to create masterpieces on walls, rooms, and decorative items around the hostel. Some have even worked with discarded products from around the hostel! Hang around the hostel, and you’ll get the chance to chat with local artists yourself, as well as staff and friendly locals. This is a real taste of the Costa Rican atmosphere. Another place to meet local creatives is with Subcultours. It is a new tour concept in Costa Rica which creates customized and personalized activities to mix with the local life-style. We wrote a whole article about Subcultours. Check it out and join them during your stay in San Jose. The hostel’s name says it all – this is a luxury hostel. You can certainly enjoy a taste of the pampered lifestyle here. The royal treatment starts with the affable staff, who are focused on making your stay comfortable and memorable for all the right reasons. On top of that, there are also plenty of creature comforts. This includes private rooms, kitchen access, a rooftop with 360º views, cool hang out spaces with things like billiards and table tennis, a bar, a restaurant and lots more. Oh yeah, and did we mention the Jacuzzi and pool? And the soon-to-be installed vapor room? If you really want to soak in the relaxation, finish off with one of their yoga sessions (the studio has lovely views). Round it out with a trip to their private art gallery. Perhaps you really just want to take it easy. Enjoy the sounds of the river flowing by, the birds chirping, and the tree leaves gently rustling in the breeze. And if you are an adventurous, fear less. Adrenaline seekers, you can have lots of fun too! It’s hard not to feel the contagiously happy spirit at Fauna Luxury Hostel. 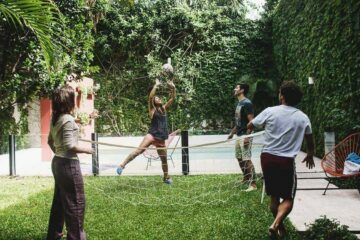 There’s always something happening at this hostel, and the events involve a range of activities that are sure to appeal to all sorts of travelers. 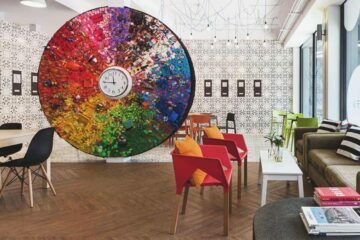 Their chilled-out culture concept is gaining traction both with locals and visitors, as each night is an experience. Maybe one evening you’ll see a yoga retreat or a wellness fair, followed by a celebration of Costa Rican culture the following evening. Then perhaps a concert from their resident DJ or a live art session. The aim is always the same – making sure people have a good time without going overboard and being a nuisance. Many of the events are inspired by helping local artists and creative types (from painters to actors to musicians) to spread the word about their work. Fauna’s appeal to multicultural guests, friends, and locals is the perfect way to do just that. New ideas are always flowing, and it’s hard not to feel inspired, too. 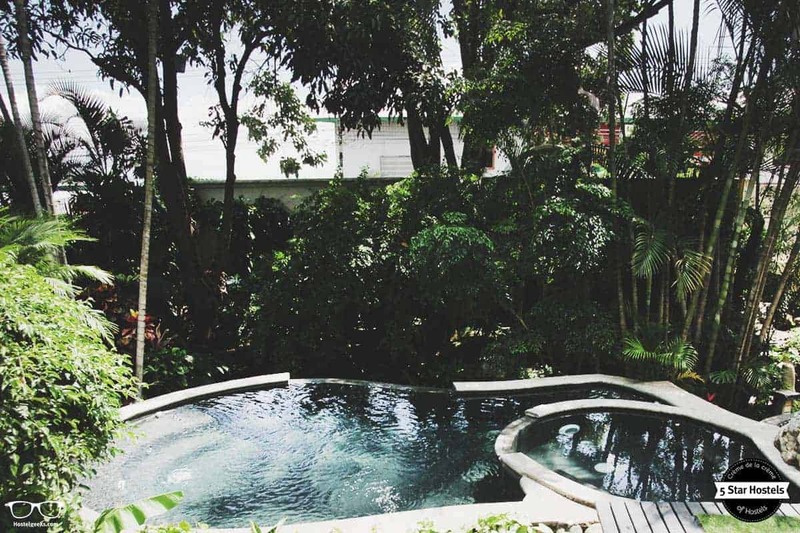 Fancy a promo code for Fauna Luxury Hostel? Who doesn't?! Now, there is no easy way to say this: Currently we do not have a valid discount for Fauna Luxury Hostel. We are working on getting more promotional codes for Fauna Luxury Hostel in and all the other top hostels we reviewed for you. 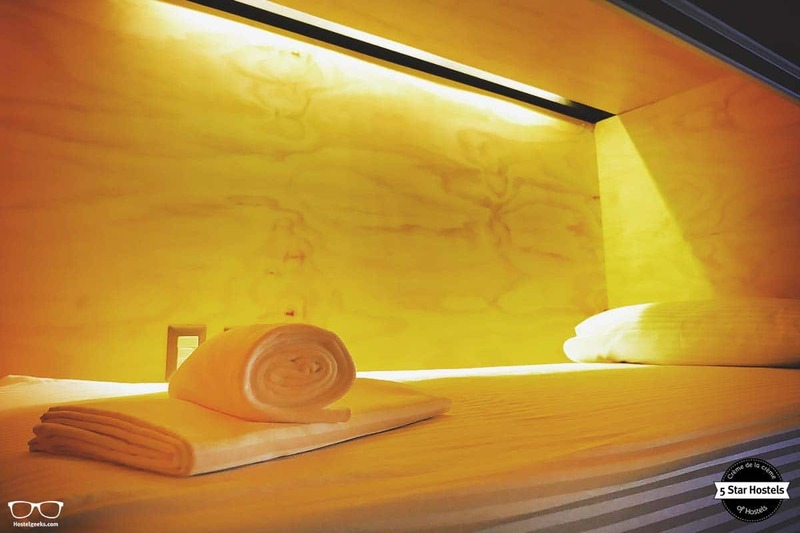 You were looking for the absolute BEST hostels in ? You just found it! Fauna Luxury Hostel is the top place we recommend to our friends, family and to you! Update April, 2019: How to find flight deals to ? Still looking for cheap flights to ? We LOVE Kiwi.com. You can search here with a so-called "radius search". It is incredible easy to find sweet flight deals to and area.